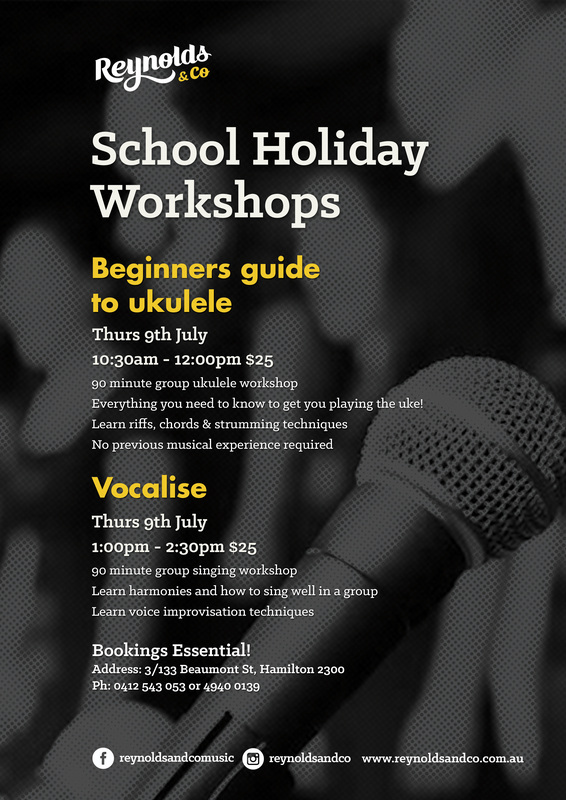 We have some rad workshops happening at our studio these school holidays specifically designed to bust that boredom! 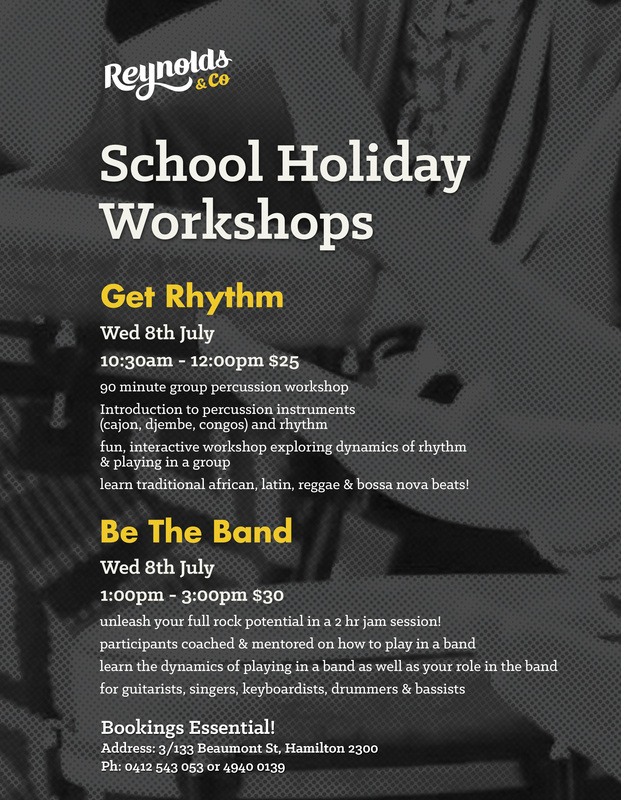 GET RHYTHM – Group percussion workshop. Focus will be on learning how to play different percussion instruments in a group setting. Learn different beats from around the world (latin, reggae, bossa nova, african beats)! BE THE BAND – This one’s for everyone! Guitarists, bass players, singers, keyboards & drummers in a 2 hr mentored jam session! Participants are put together in a band & mentored & coached on how to play together. BEGINNERS GUIDE TO UKULELE – This is the first in our beginners guide to ……. series. You will learn everything you need to know to get you up & running on this fun little instrument! No previous music knowledge needed. 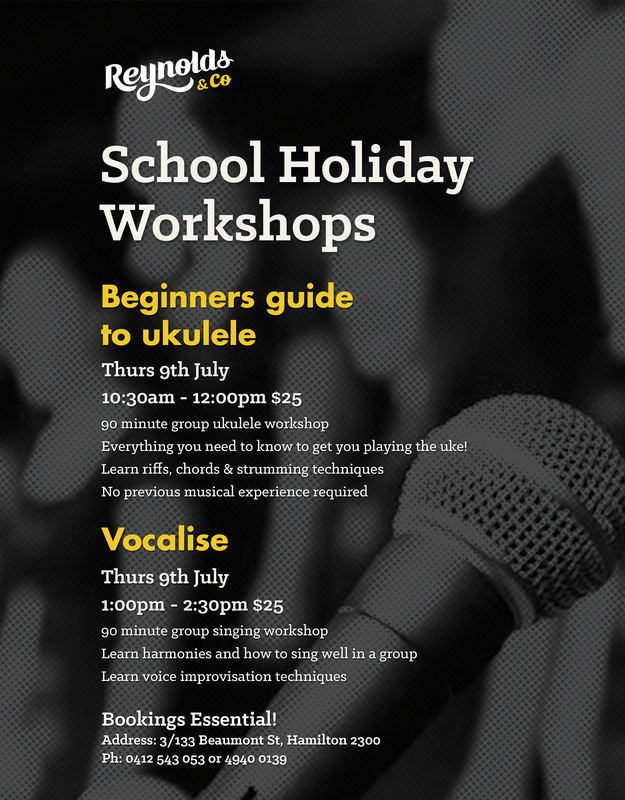 VOCALISE – Group singing workshop. This one is for the singers wanting to learn the art of harmonising & singing in a group. Also an introduction to vocal improvising! We are taking bookings now, feel free to get in touch with any questions.